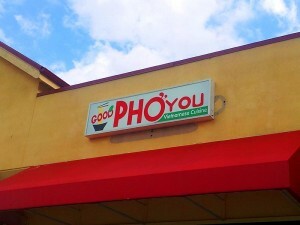 Restaurant review: Good Phở You! So, I’ve been meaning to start doing restaurant reviews on here for a long time. I was going to focus on Seattle, Ballard more specifically—and then I had such a good experience at Lynnwood’s Good Pho You! that I was compelled to get off my rump and get started. This is a place I happened into completely by accident on the way home from a dental appointment. I had no other business in Lynnwood. “Sit wherever you like, man,” he said. 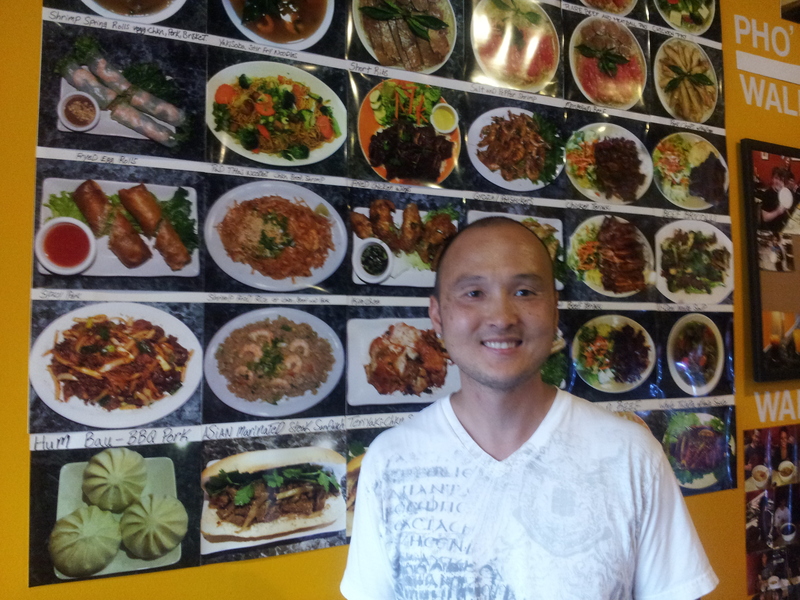 I didn’t, at least not right away, because I was kinda taken with the monster wall full of photos of the restaurant’s diverse menu options, including pho, vermicelli, pad thai, Bánh mì sandwhiches, bubble tea, and desserts. More compelling, however, was the stack of 40 or so polaroid-like shots entitled “WALL OF SHAME,” depicting vaguely ashamed-looking customers sitting next to giant 1/4 to 7/8 consumed bowls of hot noodles. 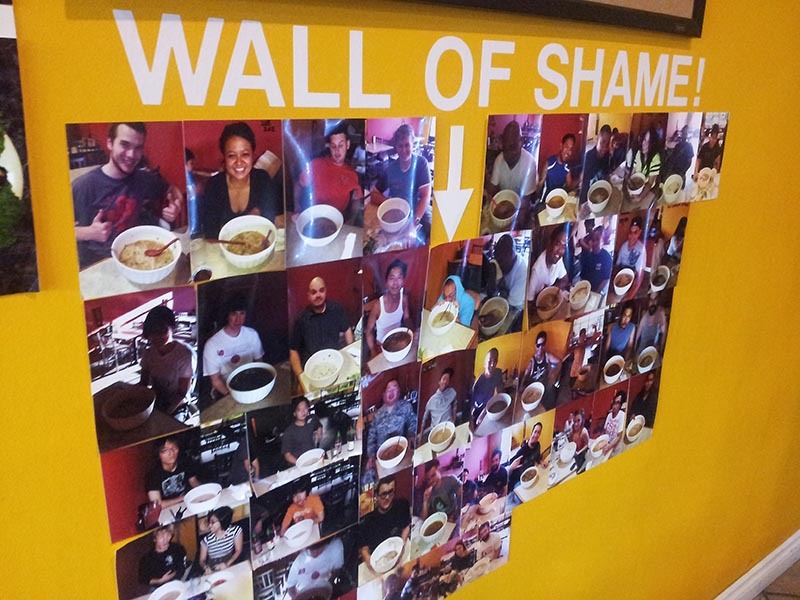 This, apparently, is a public shaming of customers who have failed the “monthly challenge,”which is to consume a monster bowl of Phở: 6 pounds of it. Perhaps the challenge rotates monthly. 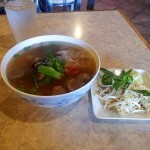 My experience is that Phở can be pretty, well—standard. There’s not always a lot of variance from one restaurant to the next. But Good Phở You! knocks it out of the park with what I think is the most important thing: the broth. The broth is rich, slightly viscous, and was served at the perfect temperature: hot enough to cook the beef but just below the temperature required to burn my mouth off. 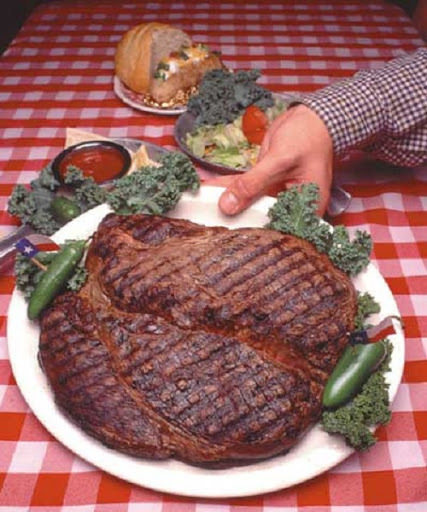 It’s also nice to see some variations within the typical just below hot enough to burn my mouth, which means it’s framkework such as the above mentioned wacky eating challenge that I would usually associate with a roadside BBQ joint. I chose meatballs, and my soup arrived piping hot in less than five minutes, and midway through my meal I was presented with a bonus watermelon slice. 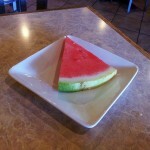 I’ve never had a bonus watermelon slice! 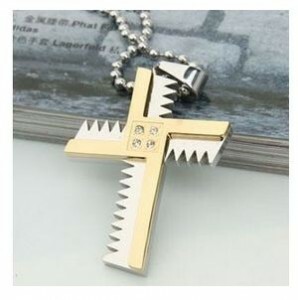 It was fresh. I grabbed an almond bubble tea on my way out the door, which I later regretted only because I was WAY too full. Steve’s a decent guy and you should support his business. 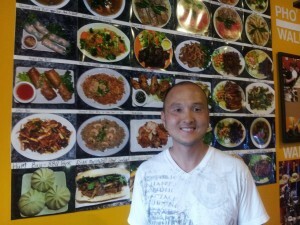 This entry was posted in Restaurant Reviews on August 26, 2012 by Bellsauce.